I am a father of two pre-school kids and I been researching on how to invest for them in New Zealand. There are some options out there, but the good one is surprisingly hard to find. So here is my finding on the best way to invest for your children and what you need to know. There is a lot to write about investing for kids, so I am breaking this topic into three parts. I will talk about why invest for your children and what you need to know before investing here. Part 2 will be my pick on the best investment options for kids and part 3 will be my view on some other investment options in New Zealand. Education: The main reason I invest for my kids is that I want them to know about personal finance. I personally know a few smart and bright teenagers who are horrible with money, which leads them to big money problems (I used to work in student accommodation and know lots of students who left home and flatting with others). It seems like we don’t teach personal finance at school and we don’t talk much about money at home. When some of those kids leave home, they have no idea how to handle money and make a mess with their finances. So for my kids, they will learn about personal finance from a young age. I won’t start them off the complex financial product, but eventually we will get there. That will be a great example to show how their own money is working for them. Prepare for their future: I can’t predict whats going to happen in the future, so I want to do my best to prepare for it. For now, you can get an interest-free student loan for study, but it is not always the case. Student loan used to carry interest and before that, Univesity used to be free. For my kids, I have no idea what sort of society they will be facing, so it’s always better to have something prepared. No matter if they want to go to Univesity, go overseas, start their own business, there will be some money for them. Best time to invest: There is a Chinese proverb said something like, ““The best time to plant a tree was 20 years ago. The second best time is now.”. For us, we can’t go back 20 years ago and invest for yourself unless we get our hands on a DeLorean DMC-12. At least we can do it for our kids. “It’s not timing the market, it’s time in the market.” By investing at their young age, that investment will have all the time in the world to grow and ride out of recession. It almost guarantees those diversified investments will have a great return once your kids reach adulthood. You can’t go back 20 years ago to start investing, but you can do it for your kids. There are two New Zealand personal finance bloggers wrote on this topic I think you should check them out. Ruth from the happy saver wrote a great blog post on ‘Teach kids about money’. Ryan from Money for Young Kiwis wrote another great piece on “Should you invest for your children”. Before we go into the details, here is a checklist of what you need to set up an investment for your kids. Some people think children do not pay tax as they have little or no income and that is not true. No matter how cute your kids are, IRD is going to charge tax on them. There is two type tax your kids will be paying, Resident withholding tax (RWT) and Prescribed investor rate (PIR). Resident withholding tax (RWT) will be familiar to most people because you can see that on your bank statement when you received interest. Resident withholding tax is a tax deducted from a New Zealand tax resident customer’s interest income before they receive it. So it’s basically a tax on your interest and dividend received. Your kids will be using this tax rate if they earn interest from bank deposit or receive a dividend from shares. Prescribed Investor Rate (PIR) is the rate at which an investor pays tax on their share of taxable investment income from a Portfolio Investment Entity (PIE) investment. It basically taxes on your investment funds like KiwiSaver, index fund and managed fund. All investment service require IRD number so you MUST register your kid with IRD. If your children don’t have an IRD number, go to this website and get an IRD number for your child. You can check out IRD website to find out the correct RWT and PIR for your kids. For most kiwi kids who have no income, their RWT and PIR will be at 10.5%. This tax rate is important because average working adult RWT is at 30% or 33% and PIR at 28%. So kids pay much lower tax compared to an adult, and this is a great advantage for kids. Parent A and B both put $500/years into an investment fund with an average return at 7% after fees before tax. Parent A invested under their own name with PIR at 28%. Parent B invested under their child name with PIR at 10.5%. Here is the result after 15 years. Parent B’s fund ended up with a higher balance because it was taxed at 10.5%. The actual tax paid with PIR 28% was 1.4% of the fund and 0.525% with PIR at 10.5%. The different is just 0.875%/year. When the kids paid less on tax, more money kept in the fund to grow. At year 15, it resulted in 7.39% different in value. Remeber, your kids are NOT your tax shelter. Don’t put your own investment and life-saving under your kid’s name to pay less tax. IRD may treat that as tax evasion, and this is a criminal offense. When you invest for your kids, that money supposed to be their money or planning to use for them. A popular thing parents do for their kids is to set up a bank account and put money into it for saving and earn a bit of interest. When I look at bank saving, it’s a safe option but not a good investment. Yes, you do earn interest from the bank, but the returns aren’t very good. Also, inflation and tax will reduce your return. You may get some interest on that money but it may worth less in the real terms after inflation. Take a look at the interest rate on high interest saving account from January 2003 to August 2017 below. Before 2008, you can get about 4% – 8% interest on your deposit and now is above 2%. Let’s add tax and inflation to those interest rate. I will be using RWT at 10.5% as tax rate here. The green will be the real return on bank interest. It was around 2%-4% before 2008, dropped below 0% at 2010 and currently sitting just above 0%. Therefore, if you keep your kids money in the bank as ‘investment,’ the return is only a better than inflation. For me, I will still open a bank account for my kids, but the purpose will only be temporary saving. The bank account is not an investment for my kids, it’s just a safe keeping. Most for their money will be sitting in some funds. Some parents may think investment funds are too volatile for their own risk appetite, that’s why they choose saving account. This is true as saving account provide a low but safe return, investment funds’ return can range from 20% to -20% in a single year. However, we need to separate parent’s risk appetite with kids. Kids have a lot more time ahead of them compared to their parents. For an average Kiwi kids in an average income family, here is a list of some life events that they may need to use that investment fund. Most of those events happen around their 20. If you kids are under 10 years old, the investment time frame will be at least 10+ years for them. The common wisdom is you should take more risk when you have a long investment time frame. You shouldn’t worry too much about market downturn as they will definitely occur within their investment timeframe. By staying in the market for a long-term, you will ride out of the recession. The reason we prefer not to have regular contribution is that kids don’t have a regular income. They may only get money once or twice a year for their birthday or Christmas gift. So we prefer an investment without regular contribution commitment, low initial investment and low lump sum investment amount. Parents and relatives can put in some money, no matter a little or a lot, whenever they want. Regarding fees, the amount of annual admin fee can be more important than management cost because that fund usually started with a small amount. When you investment fund valued at $20,000, that $30 admin fee is just 0.15% of your holding. However, if your fund valued at $500, that $30 admin fee will be 6% of your holding. Way more than the usual management cost you will be charged. So we prefer an investment with low annual admin fee. Also, be aware if you started with a small amount and forgot about it for a couple years, the annual fees may eat up your entity portfolio. Check out the graph below on a small portfolio with $30 annual fees, 7% return after tax and management fee and with no further contribution. 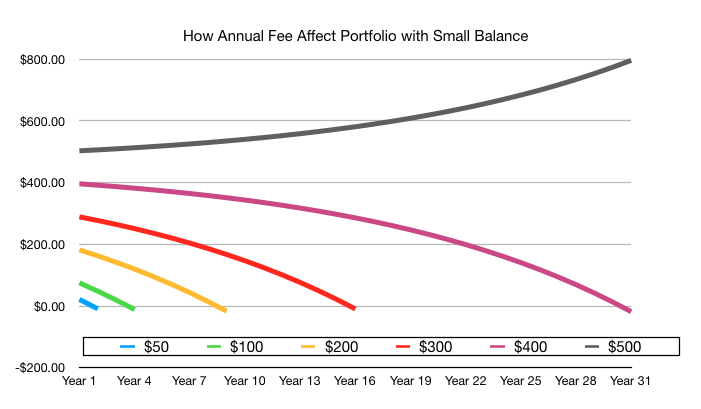 For those portfolio balance with $200 or less, the annual fees will reduce your investment down to zero within 10 years. You won’t be able to keep your initial investment unless you start with $500 or more(based on $30/year annual fee and 7% return). Therefore, if you plan to put some money in the let it sit for couple years without any contribution, you should start with $500 or more. If you plan to put some more money in at least once a year, you can start at around $250. Anything less than $200 should be kept in the bank. Also, pick an investment service with low or no annual fee will help. This is part one of my investing for kids blog. Next part will be my personal pick of the best investment options for kids and how to join them. Part three will be my take on other investment options in New Zealand. If you are currently in or considering some investment program for your kids and want me to cover them, drop me an email at thesmartandlazy@gmail.com. I will try my best to cover that. Council Rate & Insurance: Pay Monthly, Quarterly or Annually? I’ve got the latest Auckland Council rate bill earlier this month and the council rate went up again. As an Auckland rate payer, you will have a choice to either payment annually or quarterly. If you choose to pay annually, you will have a massive discount of… 0.83% on your bill. It got me thinking: how should other rate payers and I decide if we should pay annually with that discount or quarterly without a discount? Will that discount big enough to offset my lost interest? What sort of return on investment do I need if I plan to pay quarterly? I was discussing this problem with a friend and he said, “it’s really easy to work out, just take the discount you’ve got from the council and compared that to your bank interest rate. If your interest rate is higher, keep your money at your bank.” I know there are some people using this method as their back-of-the-envelope calculation. However, it’s a bit more complicated than that. We will need to fire up excel to analysis this. Will you benefit from the service for the next full year? Do you have to cash to do either option (pay annually and quarterly)? If you answer no to either question, you should pay quarterly. There is no point to pay for something you know you are not going to use or enjoy. In the context of Council rate bill, I am planning to own this house for the next year, so I’ll benefit from this payment. I also have to cash to do both as I’ve been expecting this bill. The difference between pay annually and quarterly is how are they are going to affect our cash position and the interest gain from that cash. If we pay annually up front, we will take a hit on cash but rewarded with a small amount of surplus cash from the discount. That cash can sit in the high-interest account to earn interest. On the other hand, if we pay quarterly, we will have more cash to earn interest at the beginning. The quarterly payment is $625/quarter, so the total cash included in this analysis will be $625 x 4 = $2500. I used BNZ rapid save account as our serious saving account here. (By the way, BNZ Rapid Save is one of the better serious saver accounts out there.) The interest rate is at 2.2% and its allow one withdraw per month without losing the bonus interest. Pay Annually: If we pay annually up front, we will have $20.75 in cash after discount. We will keep those cash in a serious saver account for a year and the amount of the end of the year will be $21.06. Pay Quarterly: We will start with $2,500 cash and pay out $625 every 3 months. All cash will keep in a serious saver account. The interest generates more interest in the beginning as the cash level was higher. Towards the end of the year, the remaining cash amount at $13.96. Therefore, if you keep the cash in a serious saver account with 2.2% interest, you will be better off to take the annual payment discount. If we keep increasing the interest rate (or expected rate of return), pay quarterly will eventually yield better return for your money. The reason is when we pay quarterly, the cash we kept in the beginning of the year is able to generate enough interest to offset the discount from paying annually. Check out the chart below. After some boring math (get equation on both lines then apply quadratic formula), the breakeven point is at 3.33%. Therefore, in the context of Auckland Council rate bill with 0.83% up he front discount, you should pay quarterly if you can get over 3.33% pre-tax return (2.23% after-tax or tax-free) on your cash. Any rate below 3.33%, you should just pay annually and take the discount. When you Should Pay Quarterly? You may think it is not hard to get an investment return over 3.3% given you can get a similar return on term deposit (3% – 4.2%), or index fund around 6%. However, the time frame is only 1 year, and you will have to withdraw part of them out every 3 months. So index fund is out of the window because expected return in a single year can be between 25% to -25%. A term deposit is not an option as well as you can’t take part of the money out every 3 months. The better choice I can think of is Offset Mortgage on Home Loan. You keep more cash in your account to offset mortgage interest fits all criteria. The return is tax-free and guaranteed at around 5.75% plus you can access your cash every 3 months. To do that, you’ll have an existing home loan and had set up with offset mortgage or revolving credit. In my opinion, if you don’t have offset mortgage and consumer debt, just pay it off up front. It’s easier, and you don’t have to deal with the bill every 3 months. The same analysis can apply to insurance payment. Most Car, house, and contents insurance will provide different payment options. Check out the example below for a car insurance quote. The discount from insurance company are much better at (42.6 x 12 – 469.32)/(42.6 x 12) = 8.19%. If we apply the same analysis, here is the result. Pay up front have a superior return on your cash and the breakeven point is at 28.5%. I don’t think there is any investment options other than paying off a high-interest loan can top that. Therefore, if you have the cash and you will benefit from the insurance for a full year, you should pay annually on your insurance. 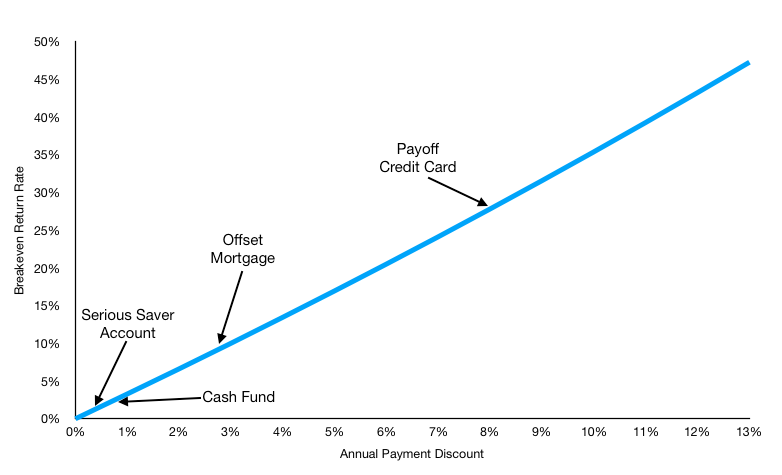 Here is a simple graph that shows the break even return rate on different payment discount. You simply look at the annual payment discount and refer to the break even return rate to decide if you should take the annual payment discount. For example, you’ve got a 7% discount if you pay your house insurance annually compare to monthly. According to the graph, if you have an investment with 24% pre-tax return (like use that money to pay off the credit card), you should pay monthly. Pay quarterly if you don’t have the cash or not going to benefit from the service for a full year. 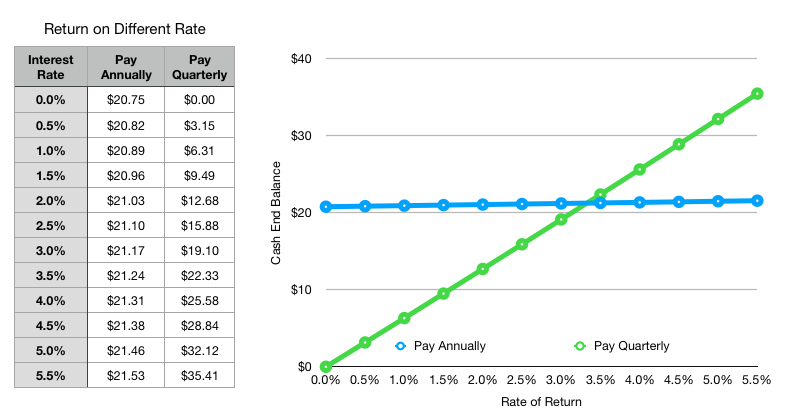 With Auckland Council rate, pay annually if the 1-year return on your cash is below 3.33%. If you have existing consumer debt or offset mortgage facility, pay quarterly on council rate and use the cash to pay off or offset your loan. Insurance usually offer a great annual payment discount so try to pay annually if you can. Recently a tax accountant contacted me regarding my post on comparing cost on ETF investing between SmartShares and Superlife. He pointed out that apart from the admin fee and management cost, investors also need to consider the tax implication when investing. I’ve known about this issue but did not include on my blog because I did not fully understand the rules. After I’ve asked around and done some research, here is my finding on different tax treatment on SmartShares and Superlife ETF and why does it matter to New Zealand investor. Disclaimer: I am NOT a tax accountant or expert. In fact, I am pretty bad at tax despite I’ve done a couple tax papers at university. So what I am going to say would be incorrect. If you notice anything wrong in my blog post, please let me know and I will correct that ASAP. You should contact a tax accountant or IRD for tax advice. What are PIE and PIR? According to IRD website, a portfolio investment entity (PIE) is a type of entity, such as a managed fund that invests the contributions from investors in different types of investments. Eligible entities that elect to become a PIE will generally pay tax on investment income based on the prescribed investor rate (PIR) of their investors, rather than at the entity’s tax rate. Prescribed investor rate (PIR) is the tax rate that PIE fund use to calculate the tax on the income it derives from investing your contributions. It based on your taxable income, e.g. income from salary, wages and any additional sources of income (including the income from your investment) that you would include on your income tax return. For an individual, your PIR can be 10.5%, 17.5% and 28%. Check out IRD web site to work out your PIR rate. I will explain PIE with ‘interest on saving account’ as an example. You usually received interest by saving money in a bank account. If you look closely at that interest transaction, you can see the bank gave you some interest, then IRD take away some as ‘Withholding tax’. Check out the transaction below. 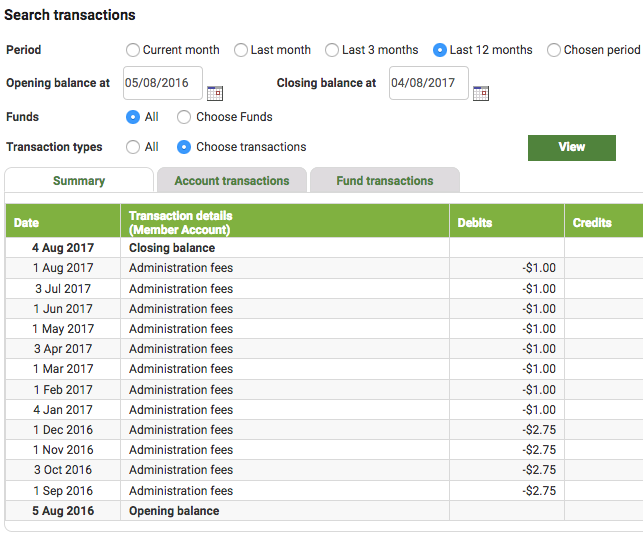 So I earned $0.79 in interest, but IRD took $0.26 away. The amount decided how much IRD can take is based on my Resident withholding tax (RWT). In this situation, the RWT is 0.26/0.79 = 33%. You can work out your RWT here. For people who are having a full-time job, their RWT rate will likely to be 30% or 33%. That’s where PIE come in. 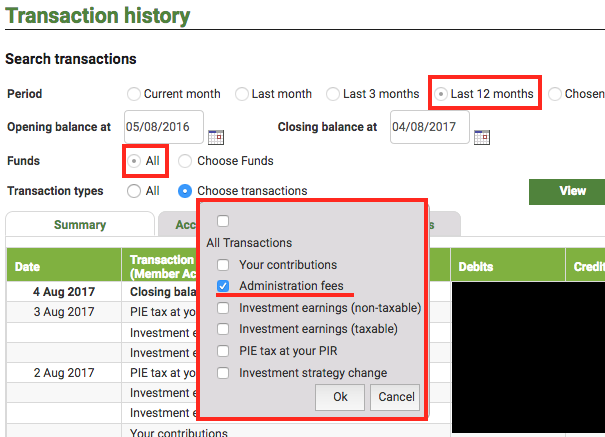 The most common PIE fund you will see is the PIE account at your Bank. There are ANZ PIE Fund, Term PIE at BNZ, PIE Funds at Kiwibank and Westpac Online Saver PIE. If you put money in those PIE accounts, in stead of paying 30% or 33% on your interest earned, you will be paying the max PIR rate at 28%. So in my situation, IRD will only tax $0.22 on my $0.79 interest income. The amount may seem tiny here, but if you have $20,000 saved in a PIE Term deposit with 3.5% interest, you will just have to pay $196 on tax instead of $231. There are different types of PIEs and we will talk about Multi-Rate PIE and Listed PIEs here. Multi-rate PIE (MRP) is a type of PIE that uses the investors’ prescribed investor rates (PIRs) to calculate the tax on the investment income it earns from the investors’ contributions. Most PIEs are multi-rate PIE including SuperLife and Simplicity fund. A listed PIE is a type of PIE listed on a recognised exchange in New Zealand, and they calculate the tax on a fixed rate regardless of investors PIR. SmartShares ETFs are listed PIE, and they will pay tax at 28%. Check out section 6 on SmartShares’ product disclosure statement. So the main difference between those two investments are you will pay 28% tax on SmartShares ETF and with SuperLife ETF Fund, you will pay tax according to your PIR. An investor needs to work out their PIR so they can decide each provider is more tax efficient. You don’t want to overpay your tax. There are three different PIRs for individuals: 10.5%, 17.5% and 28%. For people who earn over $48,000 a year for the past 2 years, their PIR will likely to be at 28%. In this case, there is no tax different between SmartShares and SuperLife ETF as you will pay 28% on taxable income with both funds. For people who are on low or no income, their PIR could be at 10.5% or 17.5%. They can be students, children, part-time/casual worker, stay-home mum/dad and retirees. In this case, they will pay tax on their PIR with SuperLife ETF Fund while SmartShares will still charge 28% tax on them. Therefore, they will pay extra tax with SmartShares. Here is an example on US 500 ETF valued at $20,000. We will compare the value after tax and fee with the different tax rate. Assume there was no contribution and no value change during the year. Taxable income calculated at 5% of the portfolio under FIF rule. Ignored Smartshares $30 setup fee. Despite SmartShares have a lower management cost and no annual admin fee, investors with 10.5% or 17.5% PIR will end up better with SuperLife as they paid less tax. That’s more reason for you to choose SuperLife ETF Fund if you are on low PIR rate. If your PIR is at 28%, pick SmartShares or SuperLife based on cost, functions, and experience. In my opinion, SuperLife is the better choice for most ETF except US 500 ETF. You can check out my comparison here. If your PIR is at 17.5% or 10.5% SuperLife ETF Fund provide a better return due to the lower tax paid. The amount of tax saved will increase the value of your portfolio. Investor at lower PIR can get the excess tax back with a tax return. Since most of the investment funds are multi-rate PIE. It is essential you work out the correct PIR and submit that to your fund manager. You can work out your PIR here. Consult IRD or a tax accountant for tax advice. Smartshare was the cheapest option for investing in US 500 ETF because of the low management fee at 0.35% and no annual admin fee. There is a $30 set up fee if you use SmartShares contribution plan and at least $30 exit fee when you sell your ETF. If you buy or sell the ETF on the share market, there will be $30+ transaction fee on each transaction. Superlife US 500 ETF fund has a higher management fee at 0.49% and charges a $12 annual fee. 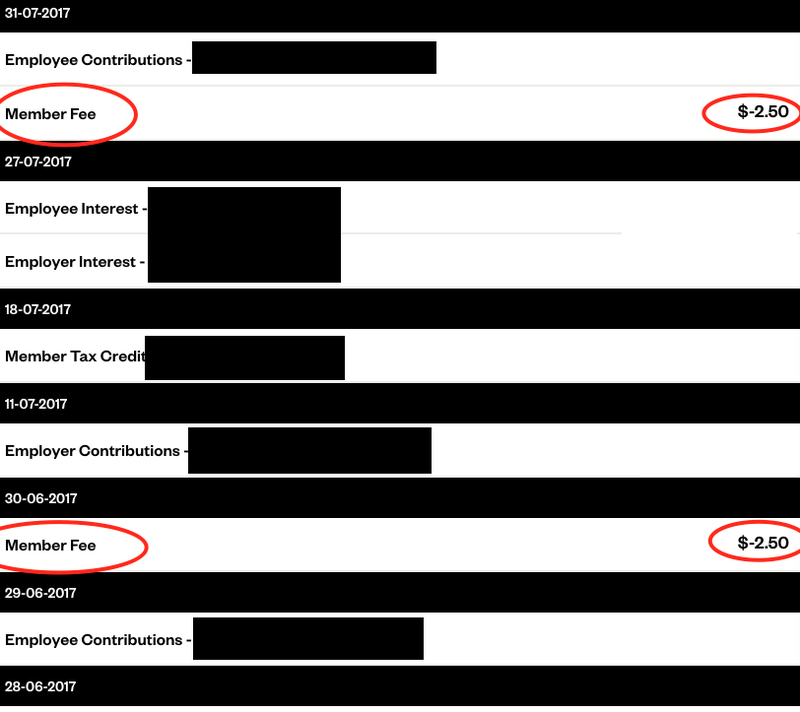 Sharesies have the same management fee with SmartShare, but they charge $30/year on admin fee. Therefore SmartShares contribution the cheapest option for US500 ETF investing. Comparing cost on US 500 ETF. Best option in yellow. By looking at the number, InvestNow investors can save on $30 set up and the $30+ cost of exit, so it appears to be a better deal to SmartShares. There is a difference on how you contribute to the fund between Smartshares and InvestNow. Take a look at the function difference below. 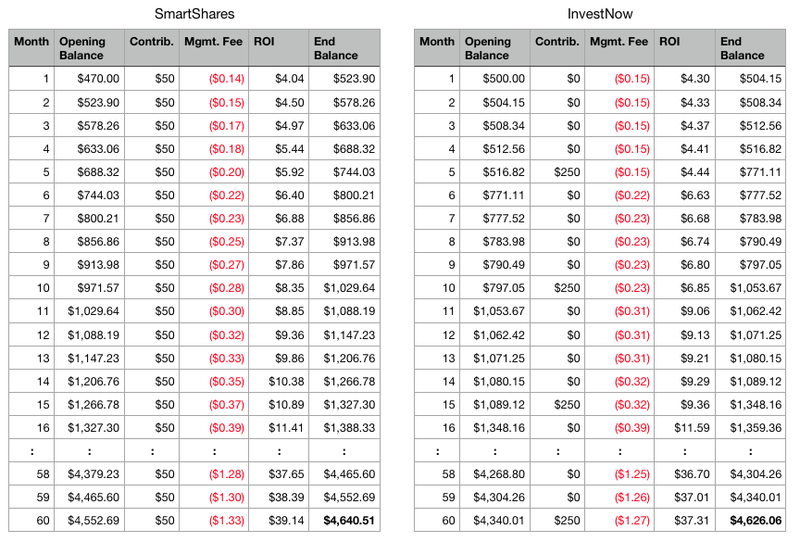 To work out which one is the better deal on US 500, I ran an analysis to compare the return between InvestNow and SmartShares. I assume the investor has $500 available to invest and can contribute $50/month. With SmartShares, the fund going to start with $470 due the to $30 setup fee and the investor will contribute $50/month. At InvestNow, investor’s fund will start with $500 and will contribute $250 every five months. The investor will continue for five years (60 months) without any withdrawal. Expected return rate is 10.32% before tax. Here is the breakdown. Although SmarShares charge a $30 setup fee up front which lowered the starting amount to $470, they ended up with a higher end balance at $4,640.51. The reason is Smartshares investor contribute $50 every month, and those funds are growing while InvestNow customer’s money is sitting in the bank doing nothing. Here is the result of different levels of contribution at the end of the fifth year. It seems SmartShares will be a better deal if your contribution under $200/month. However, there is a flaw in this analysis. In my assumption, I set the rate of return at 10.32% for all five years. It assumpts the share price of the ETF going up in a straight line and investor will have a positive return every month. However, in real life share price goes up and down every day. By contributing less frequently, InvestNow investor may lose some of the gains during those five months, but they also avoid some drop as well. Afterall, the share price looks like this in real life. So I collected the share price of US 500 ETF for the past 24 months and plugged that into our analysis. Here is the result. Click here to see the ROI. This time InvestNow ended up with a higher balance over SmartShares. In fact, Investnow beats SmartShares on every contribution level with past data. Check out the result below. No one knows how the US 500 ETF is going to perform in the future so either service can be cheaper. If you look closely at the amount, the cost difference between InvestNow and SmartShares are insignificant, less than 0.1% of your fund. So investors will need to consider their contribution level and the experience of those two services. In my opinion, InvestNow functions and its user interface are much better than SmartShare. InvestNow have a modern, clean and easy to understand platform. SmartShares’ holder will be checking their current stock holding on Link Market Service web site. The interface feels like it stuck in 2010. The main limitation on InvestNow is lack direct debit option, so it’s not a “set and forget” type of investment solution. The investor will have to deposit the money into InvestNow platform and manually invest US 500 ETF on InvestNow website. InvestNow said the direct debit function is on the road map so the situation may improve in the future. Link Market Service interface for SmartShares is not good, but you can view your holding on other services like ShareSight, Google Finance, and Yahoo Finance to improve that experience. It’s great to see InvestNow adding more and more fund onto their platform. I prefer InvestNow interface and function over SmartShares. However, I understand everyone circumstances are different so here are some recommendations which service you should consider on US 500 ETF. Use InvestNow if you like their user interface (you can register for free on InvestNow to check out the interface), don’t want to commit to a monthly contribution plan and happy to invest manually at minimum $250. Use SuperLife if you already have a portfolio with SuperLife and want to have all funds under one flexible service with great functions. Use Sharesies if you like their interface. Check out my comparison here. 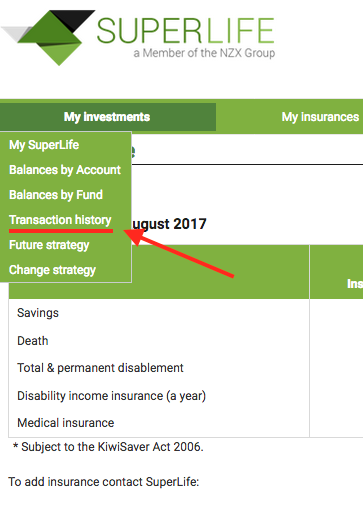 For other ETFs, you should use SuperLife, here is why. Most home owners know their mortgage payment like the back of their hand, but not all of them can tell you how much interest is in the payment. Some new house owner is surprised when they read the mortgage statement and found out how little money went to mortgage repayment. Let’s look at the interest and principal on our mortgage payment. I will be focus on the simple interest mortgage with a fixed interest rate and fixed payment amount for 30 years. Every mortgage payment in New Zealand will contain Interest and Principal. The principal is the part of your mortgage payment that goes to repay the amount you borrowed. It starts out with a small amount and increases on every payment. Eventually, the total principal paid will be equal to the amount you borrowed. The lender (usually Bank) took up risk to borrow you money on a house purchase. Interest is the reward for taking that risk. They are profit for the lender and expense for the borrower. Interest rate could be different for each different borrower. Usually, a low-risk borrower will have a lower interest rate compared to a high-risk borrower. At the lender’s point of view, to take a higher risk borrower, they will charge higher interest to compensate that risk. A significant amount of mortgage payment will go to interest payment at the beginning of the mortgage and decrease on every payment. How Much Interest you are paying? We will use the following simple interest mortgage as an example. For your first payment, $2083.33 will go to interest and only $600.77 will go to principal payment. That’s 77.6% of your monthly payment go to interest expenses. For the first year, you will pay $32,209.30 in mortgage payment, $24,832.47 will go to interest, and you only reduce your mortgage by $7,376.83. Why most of your payment went to interest in the beginning? You may be surprised only 23% of your mortgage went to principal payment and wonder why most of your payment went to interest in the beginning. I was angry and thought it wasn’t fair. So I dug in and worked out how the banks come up with that amount. First, under the terms of the mortgage, interest is calculated daily and compounded monthly. What it meant was the bank will charge interest on the mortgage every day and recalculate the mortgage amount and interest every month. The interest rate (5% here) is an annual rate, so one day of a 5% interest will be 5% / 365 = 0.013699%. Bank will apply that one-day interest rate to your current mortgage amount $500k. At your first month, you will be paying $500000 x 0.01369% = $68.49 every day on interest. Here is the daily breakdown on the first month of the mortgage. You may notice on 31/7, the interest amount is only $28.54. The reason is that when we calculate the monthly mortgage payment, we are not calculated based on how many days in a month. We just divided the full year (365 days) by 12, so every payment got 30.41667 days. That’s why I have to re-adjust the 31st day of July interest by 0.41667. $68.49 x 0.41667 = $28.54. On 31/7, you pay $2684.11 for your mortgage. At this point, the total interest is $2083.33, only $2684.11 – 2083.33 = $600.77 go to reduce the $500K mortgage. At 1/8, your new mortgage amount will be $499,399.89 and you daily interest will be $499,399.89 x 5% / 365 = $68.41. At the end of the month, we will accumulate $2080.83 in interest. By paying the same amount of mortgage payment ($2684.11), you will reduce the mortgage by $2684.11 – 2080.83 = $603.28. When you compare the numbers on both months, your monthly payment amount is the same. Since you reduce the mortgage amount by a little bit in your first payment, the interest on the mortgage at the 2nd month will be reduced. That explains the interest payment will keep decreasing and principal payment keeps increasing. The reason we why most of your payment went to interest payment is because your mortgage amount is high in the beginning. Lots of interest was charged and most your payment went to pay off those interest. In my last post, I said one thing you can do to reduce the interest paid on your mortgage is by paying extra on the mortgage. Let put that in our example and see how $100/month extra can reduce the interest. The first month will be the same as we haven’t made any payment. We will still have $2083.33 interest needs to pay. However, if we increase the monthly payment to $2183.33, we will reduce the mortgage amount by $2183.33 – 2083.33 = $700.78. On your second month, the new mortgage balance is $499,299.22 and the daily interest will be $499299.22 x 5% / 365 = $68.40. At the end of the month, we will accumulate $2080.41 in interest, $0.42 less. You may think that just $0.42, hardly make any difference. However, that is the saving on the second month only. You will save more and more each month. Paying extra on the mortgage will have a knock on effect on the mortgage amount reduced. You will end up pay off your mortgage in 27.6 years and saved $42.6K on interest. Now we took the $500K mortgage break it down by years. Here is what you will pay over 30 years. 77% of your first-year payment went to interest. By the end of the mortgage, you will pay $500K on principal and $466.3K on interest. You almost paid twice on your mortgage. For the first 16 years, over 50% of your payment will go the interest. You will pay almost half of the total interest on the mortgage in your first 10 years. Therefore, lenders make half of their profit in 1/3 of the time. After paying 20 years, you still owe over 50% on your mortgage. You will pay off $253K in the last 10 years of the mortgage. That’s why Bank love mortgages, and it’s their bread and butter. I personally feel angry reading those facts. I put reducing mortgage as my top financial priority. On the other hand, inflation is another factor helping to reduce the ‘real’ cost of the mortgage, we will get into that in another post. If you want to find out the breakdown on your mortgage payment, you can check out this mortgage calculator on mortgagerates.co.nz. I spent a lot of time here talking about investing in New Zealand. However, if I put my money where my mouth is, I spent more money on reducing my mortgage compares to investing. So let’s take a break from investing and talk about the mortgage, which is one the top three investment options in New Zealand. We are one of the lucky ones who luck into a house before house price went batshit crazy between 2013-2016. However, since we brought Auckland, the mortgage amount is still huge dispute we put down more than 20% deposit. So reducing that mortgage have been my top priority and I spent a lot of time to research and study on mortgages. It turns out the mortgage is just a mathematical formula. If we understand the factor of that formula, how to pay off the mortgage early is not a secret at all. A mortgage is a loan to buy a property. You borrow money from the lender (usually a bank), and you are obliged to pay back with interest. The lender uses the property as security. Here is the formula of Mortage. A is the payment on each term. 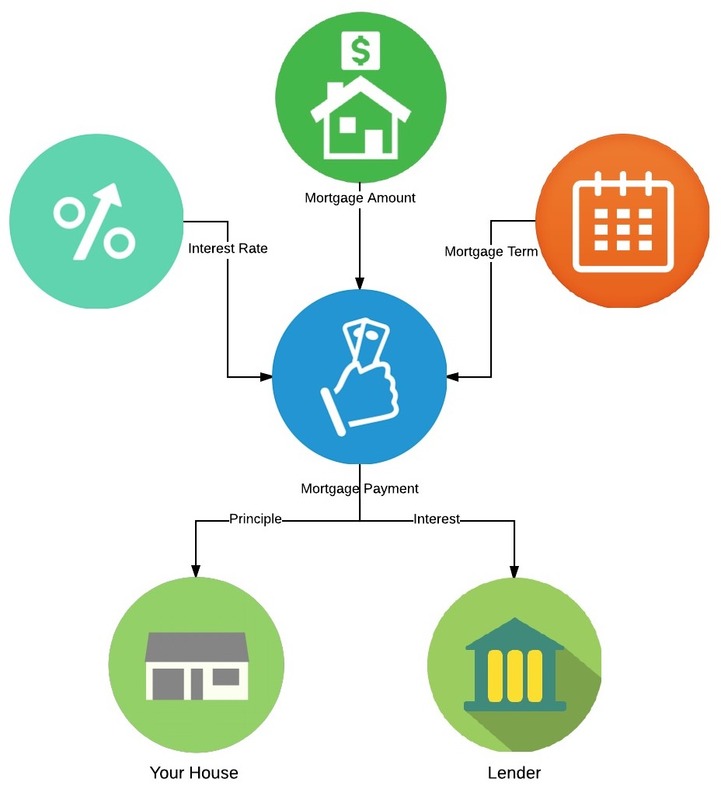 So the mortgage formula based on those four factors and they are interconnected. If you follow the mortgage plan and make the payment each term (usually every fortnight or month), by the end of the term, you will pay off the mortgage and plus interest. Each mortgage payment will have interest payment and principal payment. The principal is to repay the amount you borrowed, and interest is profit for the lender. At the beginning the mortgage term, most of the payment went to interest, and only a small part of the payment went to the principal. The mortgage is a game with four controls. For me, the mortgage is just a game. It’s a game with 4 controls. The goal of the mortgage game is to minimise Total interest paid by changing payment amount, mortgage amount, interest rate and terms within your abilities. In New Zealand, the size of the mortgage can be range from $100k to $1mil or more. Total interest paid on the mortgage can be 30% – 130% of the size mortgage. This is a high stake game with $30k to $1.3mil of interest to be saved. Yet, the rule of the game is surprisingly simple! We are going look into each factor and see how they affect our goal to minimise our total interest paid. We will be using the following mortgage as our default example. 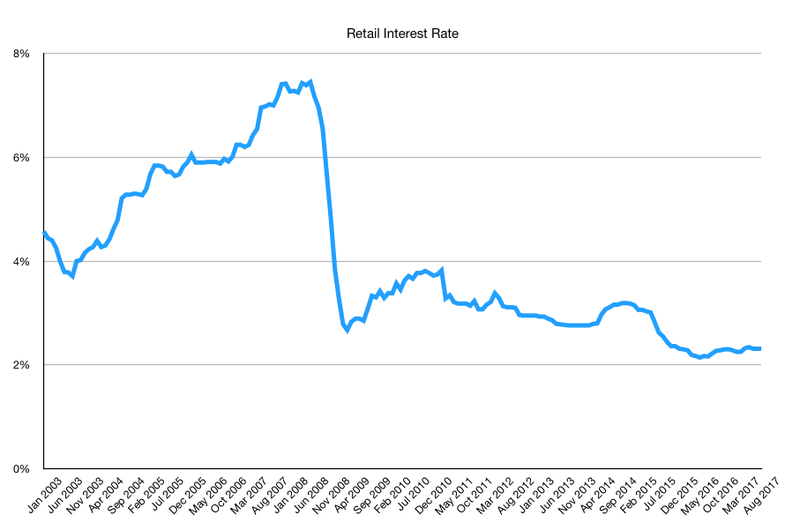 To keep it simple, I assume interest rate will stay the same during the whole period. The mortgage amount is the main deciding factor in a mortgage. The amount you borrowed is in direct proportion to your monthly payment and total interest paid. More you borrow, more you pay every term and more paid on interest. However, the size of total interest paid compared to mortgage amount reminds the same. In our example, no matter the size of the mortgage, you are still paying 93% more on interest. In most case, you want to borrow as little as possible. Interest is charged by the lender to the borrower to offset the risk of lending money. It calculated based on interest rate. Interest rate change from time to time due to multiple factors, including official cash rate change by RBNZ, the cost of borrowing at the lender, the length of the fixed term, demand of mortgage at each lender and more. Increase interest rate in a mortgage formula will affect mortgage payment and total interest paid. If you took a 5% interest rate and increased that by 0.5% to 5.5%, the mortgage payment will increase by 5.8% but the total interest paid to mortgage ratio jump from 93% to 104%. So you want your interest rate as low as possible. The term is how long the mortgage supposes to last and payment is how much you will pay each time. I put them together because they are closely connected in a mortgage. If we increase the mortgage terms, the payment amount will be lower but you will pay more on interest. On the other hand, if we increase the payment amount, we will shorten the mortgage terms. In the table below, you can see if we shorten the mortgage by increase our payment amount, we will be paying a lot less on interest. In Reality, What can you Change? Since the mortgage amount decides your term payment and total interest paid, it’s better to have a smaller mortgage. With small mortgage amount, it will come with a small monthly payment amount. You can increase the monthly payment amount without adding pressure to your living budget. To reduce the mortgage amount for potential house buyer, you will have to put down a larger down payment or choose a cheaper house. To be honest, it is difficult for both potential buyer and house owner to reduce their borrowing amount. With those crazy house price these days, most of the potential buyers are stretching to the maximum on what they can borrow and get onto the property ladder. Existing homeowners are already stuck with that mortgage and lender don’t like you pay them back early. So in reality, you don’t have much control on that. Bad news, you don’t have much control on interest rate either. The Interest rate set by the lender and each lender will have the identical interest rate. What you can do is make yourself a better borrower. Bank will consider that as a low-risk lending and happy to offer a small discount on the interest rate. However, the free-market is still the primary deciding factor on the interest rate so there is not much we can do about that. 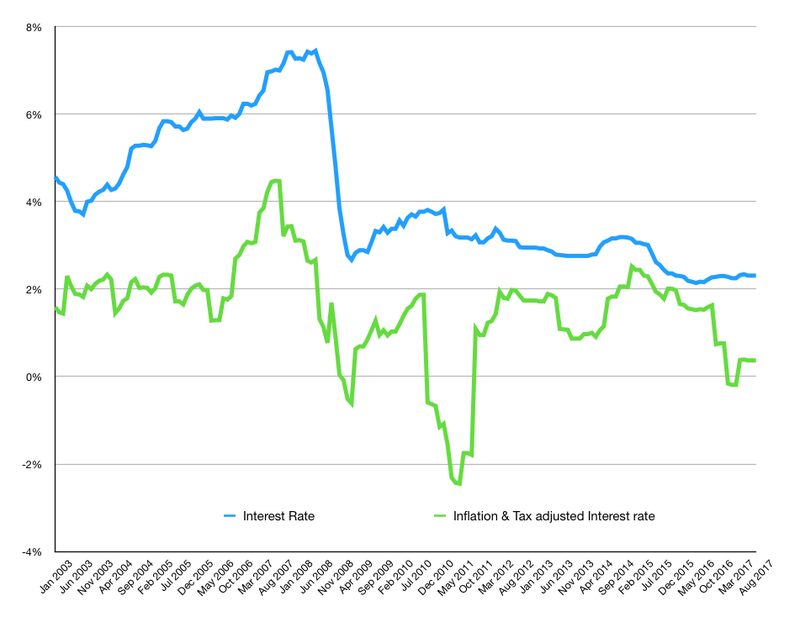 Kiwis used to pay 18% interest rate in 1985. Before GFC in 2008, the mortgage rate was around 8.4%. We are experiencing a historic low in interest rate at 2017. Payment and terms are the most important factor in the game of mortgage because we have control over it. When the bank says you need to pay $2684.11 for your $500K mortgage, it’s not the absolute amount! It’s just the minimum amount you’ll need to pay. You can always tell the bank you what to pay more. Let’s see how the term and total interest paid change when we pay more on our mortgage. $500,000 Mortgage, 5% interest rate. Minimum monthly payment at $2684.11. By simply put $1/day extra into your mortgage payment ($30/month), you will shorten the mortgage by 9.6 months and save $13.8K on interest. If you can add $10/day extra into your payment, you can pay off your 30 years mortgage in 24 years and saved $106,644 in interest. It may be hard to do in the first couple of years, but your income will likely to be increased while the mortgage payment stays the same. Combine that with careful budgeting and frugal living; you can put more and more into your mortgage and reduce the interest paid. Now you understand the four factors of the mortgage and how you can improve them. The secret of paying off mortgage fast and win the game of mortgage is very simple. Get the smallest amount of mortgage with the best interest rate discount, pay it off with the biggest payment amount you can afford. That’s the fundamental principle of getting out of debt; it does not only apply to the mortgage but other consumer debt as well. Every single tips and trick that help you pay off mortgage fast will always chase back to this principle. We will cover lots of them in the coming months. Stay tuned. Sharesies is rolling out their trial run (a.k.a beta) investments options couple weeks ago. I’ve got their invitation recently and checked out their offerings. Sharesies is currently offering six SmartShares ETFs for their investor including NZ Top 50, AUS Top 20, US 500, NZ Bond, NZ Property and AUS Resources. You can check out their current offers here. Sharesies is a New Zealand financial start-up company supported by Kiwibank Fintech Accelerator. They are an investment platform where users can make investments with small amounts of money. One of their mission is to make investment fun, easy and affordable. 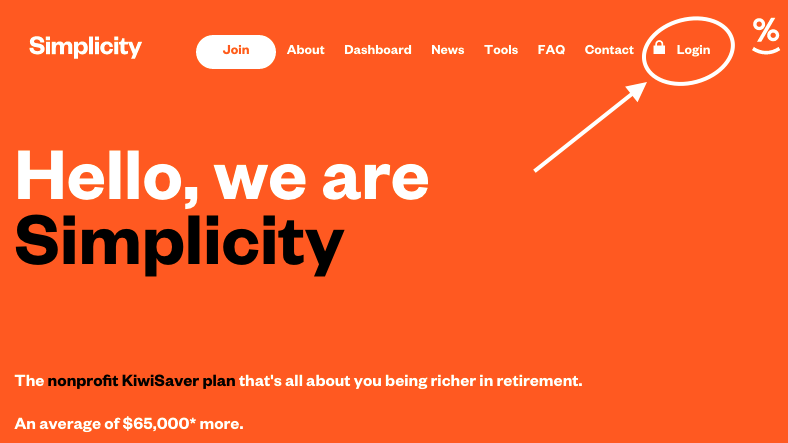 The main selling point of Sharesies is by paying a $30 annual fee, an investor can invest into multiple investments with the minimum at just $5. Also, there is a $20 credit for the early Beta investor. In comparison, SmartShares ETF initial investment is $500, set up cost is $30/ETF and monthly contribution minimum is $50. So Sharesies is a great way for beginner investor to invest in a small amount into many low-cost, diversified ETFs. It bypasses the $500 initial investment and $30 set up fee with each ETFs. I’ve picked two popular ETF, NZ Top 50 and US 500, to run an analysis for 60 months (5 years). The analysis will compare the result on different contribution level(low and high contribution) for all three services. The low contribution will be at Sharesies minimum requirement, $30 initial investment (for the annual admin fee), $20/month contribution (about $5/week); The high contribution will be at SmartShares minimum requirement, $500 initial on each ETF, $50/month conditions. So Sharesies have a higher admin fee ($30) and ETF management cost (0.50%), so its expenses should be higher then Superlife NZ top 50 ETF. Since Sharesies are aiming for beginner investor, I put around $5/week as a low-level contribution. The $30 initial investment cost is to cover Sharesies annual fee. Smartshares will not be included in this analysis as the investment amount is too low. Superlife did better as it has a lower management fee and admin fee resulted in a higher return for the customer. The 5-years different is $135.81, 8.4%. This is more interesting as Sharesies have a lower management (0.31%) cost compare to Superlife (0.44%). Due to the small amount of holding, the lower management cost (0.35%) did not cover the higher annual fee ($30) with Sharesies. Superlife holding was $122.28 more then Sharesies in year 5, 8.1%. SmartShares USF came out on top with no annual fee and lower management cost. 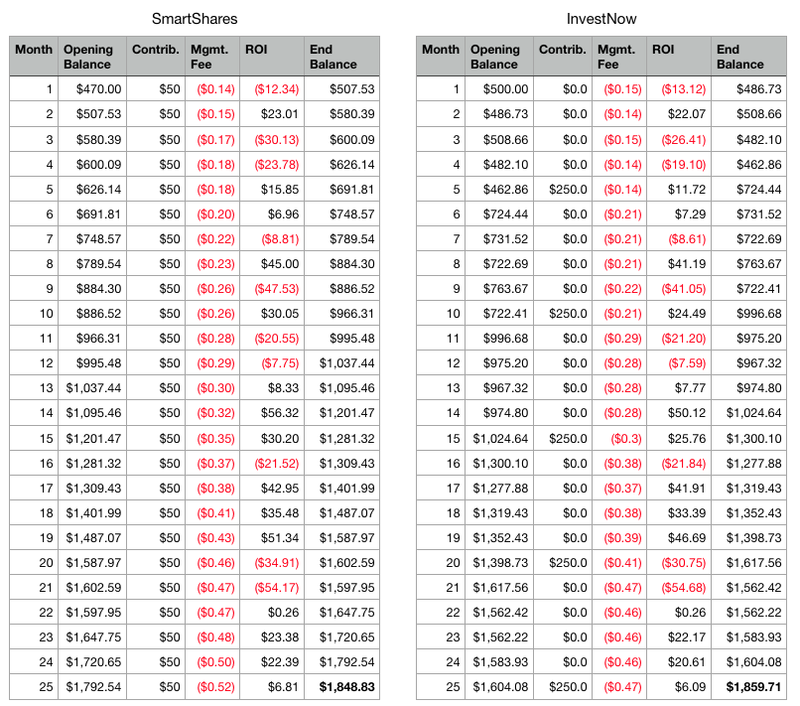 The different between SmartShares and Sharesies at year 5 is $154.75, 3.3%. The different to Superlife is $41.5, 0.9%. Since Sharesies investors can bypass SmartShares setup fee and initial investment requirement. So Sharesies is actually a great tool to build a simple portfolio. I will use US 500 ETF, NZ Top 50 ETF and NZ Bond ETF to build a portfolio. 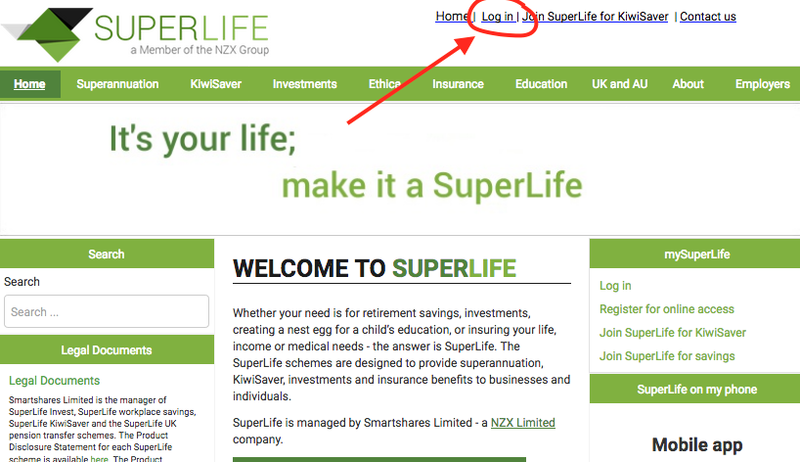 SuperLife, on the other hand, as my best pick for portfolio builder in New Zealand can easily build the same portfolio. Let’s check out the cost difference. Superlife still edged out at year 5 with $123.15 more, 8.2%. I didn’t do a high contribution comparison here because SmartShares are really not fir for portfolio building. 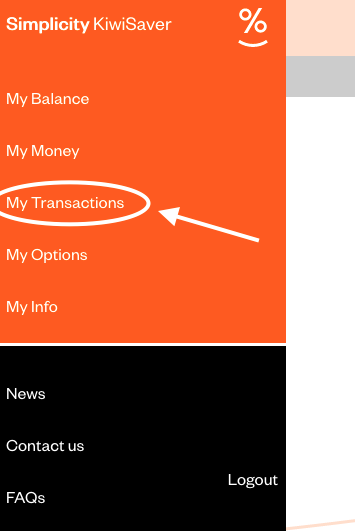 Sharesies are still in beta, so there are some functions are missing, like reinvest and auto allocation. I am sure Sharesies will continue to improve on their functions and brign in more investment options. Hope more companies like Sharesies will pop up in New Zealand to bring more people into investing. More investor, bigger the market size, lower the cost!